Amazon dived even further into the smart home technology pool Monday when it revealed that it was scooping up a home Wi-Fi startup. The online retail giant announced it would acquire San Francisco-based Eero after being “incredibly impressed” with their team and “how quickly they invented a Wi-Fi solution that makes connected devices just work,” Dave Limp an Amazon senior vice president, said in a statement. Eero’s products are designed to blanket an entire home in reliable Wi-Fi, which company co-founder and CEO Nick Weaver described as the “foundation” of home technology. 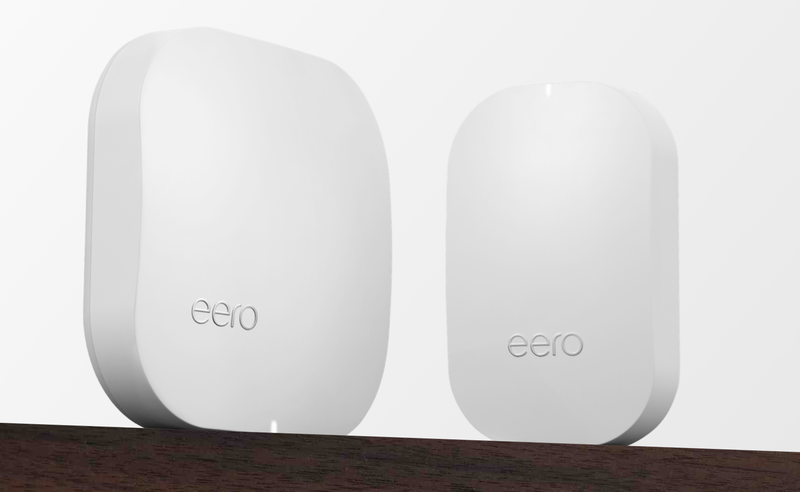 Eero sells a network of wifi routers and “beacons” — essentially smaller supplemental routers — that are designed “to cover every nook and cranny” of a home, according to its website. The company charges $199 for a router that covers 1,500 square feet and $149 for a beacon, which adds another 1,000 square feet of coverage. Eero offers various discounted, bundled packages as well. Eero also has an app that walks users through setup, which the company claims takes less than 10 minutes. Amazon declined to comment on the financial details of the deal in response to Inman’s questions Monday. However, the acquisition clearly appears to be aimed at bolstering the company’s expanding smart home business. The retailer currently sells an entire line of devices that use its Alexa virtual assistant, including a smart microwave and an Echo Dot that mounts to a car dashboard. One year ago, Amazon also acquired Ring, which manufactures smart doorbells. That acquisition and Amazon’s gradual expansion of its Alexa-enabled line, along with a partnership to build-Alexa equipped houses with builder Lennar, has come amid speculation that the company is planning on making a more direct move into the real estate industry. Presumably, Amazon could also use the Eero acquisition to keep tabs on the web browsing habits of all customers who use the router system as well, giving it valuable data onto what customers are looking up and searching online. That data could be used to inform which precise targeted online ads for Amazon products are served across the various websites.